TWELVE publishes it's annual Greek Yearbook. 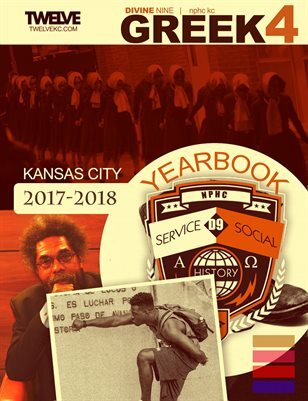 The only yearbook featuring the Divine Nine, NPHC organizations. Brought to you from the heart of the nation, Kansas City--Greek life up close from the metro area. Social, Business & Service.